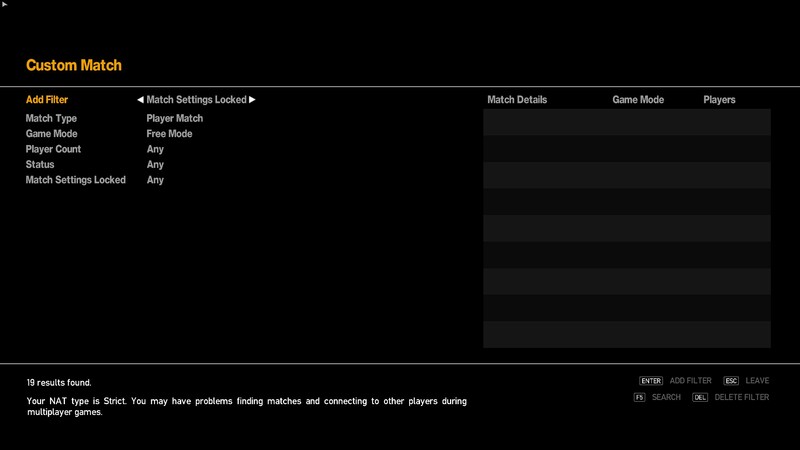 Hey folks i seem to be having an issue with GTA IV PC Vanilla and EFLC with the game saying i have strict NAT. FYI my router is an old PC i had, It's running OPNSense (similar to pfSense) and i have tried port forwarding the ports R* says in the PDF manual as well as what i've also seen from googling and a few posts here. Here is a screenshot of what i mean, the interesting part is says it has found 19 results but wont display them. FYI this was done with my Windows firewall temporarily disabled. My PC has the local IP of 192.168.1.15 which i made a static DHCP to my PCs NIC Mac address. Anyone know whats going on because as far as i can see it should be okay, i know this game is notorious for having MP issues but that's usually when your mid game. Not sure if it might help, but enabling UPNP might? My NAT goes from Moderate to Open when I do so. You were right, UpNP was not even enabled on my router at all lol, all sorted now ty. I shall close this thread.